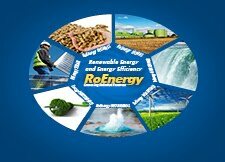 REECO organises between the 6th - 8th of March 2013, at Expo Arad International, the first edition of PV Platform Romania, No.1 meeting point for experts in the photovoltaic sector. The event will take place in parallel with ENREG ENERGIA REGENERABILA®, the biggest trade fair on renewable energy and energy efficiency in construction and renovation in the euro-region Danube - Cris - Mures - Tisza. The initiative to organize an event dedicated to solar energy is due to the importance that it currently has both in Romania and worldwide. Official data shows that in 2012 the photovoltaic sector produced modules that had a combined capacity of 11 GW, a figure considered by experts being a record. Romania become an attractive country to implement photovoltaic projects, which has created a safe and guaranteed success of implemented projects by investors, both Romanians and foreigners. A number of solar parks installation projects were released at the beginning of this year, one of them being in Arad county, in Sebiș. The project involves the development of a solar park on an area of 200 hectares, with an investment of 100 million euro and 317.000 mounted panels with a total capacity of 65 MW. According to investors it will be the biggest solar park in Romania and one of the largest in Europe and fully functional from this summer. This year the trade fair will host 100 exhibitors from 10 countries on 2 continents, that will exhibit their products and services on 2500m² exhibiting space. The importance of solar energy and the interest of investors in this area is highlighted by the large number of exhibitors at the PV Platform Romania. Over 60% of the total number of exhibitors are on photovoltaic sector and they will be easily found by specialized visitors, thanks to the booths that will be located in a separate trade fair area. PV Platform Romania, No.1 meeting point for the photovoltaic sector in the euro-region Danube - Cris - Mures - Tisza, will host the 2 days conference, 6th-7th of March 2013: PV Platform Romania - Changes & Risks. Great personalities in the area as Zoltan Nagy-Bege - General Director, Energy Efficiency Regulatory Department, ANRE Romania, Silvia Vlăsceanu - Association of Utilies Companies from the Energy Field ACUE and representatives of prestigious companies from 7 countries in Europe: Hungary, Serbia, Bulgaria, Italy, Austria, Czech Republic and Romania will sustain presentations during the conference. The topics debated will be: PV Market in the European Union; PV Technology for the Future; PV Eastern Europe - Romanian Market Situation; Legal & Financial Framework for PV Power Plants in Romania and Engineering, Construction, Technical Issues. Until now the event is sponsored by 7 important companies from the photovoltaic area: ET Solar, Hategan Low Office, IDEEMASUN, Meca Solar - Proinso, Producție Energie Verde, Rödl & Partner and Solanna Investment. 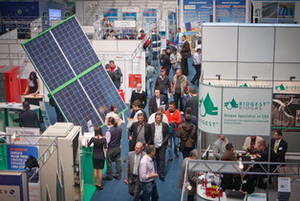 PV Platform Romania will host also the workshop AREL Academy / Photovoltaics - Spring Session ENREG 2013, organized by Romanian Electricians Association, on the 8th of March 2013 and the PV Specialists Forum. During AREL workshop there will be debated issues such as Photovoltaic Plants Maintenance; Residential PV systems. Hobby or a new opportunity? ; EPC's: Situation or brake for the investors? and others.